Scott Miller is a partner in the Intellectual Property Practice Group in the firm’s Los Angeles office. Mr. Miller is a skilled trial lawyer who represents clients in litigation and non-litigation intellectual property matters. He has served as first chair in numerous patent, trademark, trade secret, unfair competition, false advertising and copyright litigations, as well as litigations regarding intellectual property ownership rights and/or the enforcement or termination of licenses. He practices in courts and before administrative bodies across the country, as well in various arbitration forums. Mr. Miller also has substantial experience in the areas of patent counseling and opinions, due diligence, licensing and buy/sell transactions and patent and trademark prosecution. He has acted as lead IP counsel on hundreds of different transactions for strategic buyers/sellers, private equity and/or venture capital funds involving all types of intellectual property rights. While Mr. Miller’s patent practice focuses on technology innovations in the areas of telecommunications, digital signal processing, data storage technologies, optical and fiber optic technologies and LED/LCD technologies, he represents consumer product companies in conjunction with utility and design patent and copyright issues and well-known trademarks in the United States. Mr. Miller also has substantial experience preparing and combating complicated damages analyses for trial. A sought after expert in the area of intellectual property law, Mr. Miller regularly speaks at industry conferences and has been published in various legal and trade journals. Active in the IP business and legal communities, he is co-chair of the Programs Subcommittee for the ABA Litigation Section Intellectual Property Committee. 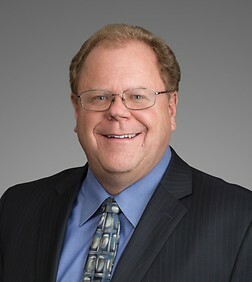 He previously served nine years as the vice chair of the Damages and Injunction Committee for the Intellectual Property Owners Association (IPO), and has served as a working member of various committees at the International Trademark Association including on the Non-Traditional Trademarks Committee and the Enforcement Committee. He is also a member of the Los Angeles County Bar Association. Mr. Miller is a Martindale Hubbell AV® Preeminent™ Peer Review Rated Attorney and has been repeatedly recognized by Best Lawyers in America in Patent Law.